Enthusiastic Filipino promoters Gabriel "Bebot" Elorde of Elorde Promotions and Brico Santig of Highland Boxing Team are among the men of boxing honored by the World Boxing Council (WBC) during the coming WBC 3rd Women's Convention and WBC Asia Summit from November 16 to 19 at the plush Sofitel Philippine Plaza in Pasay, Metro Manila, Philippines. 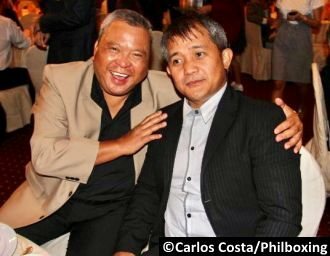 Other names in the shinning list of awardees include Jim Claude Manangquil of Sanman Boxing of General Santos City in Southern Philippines and promoter Jai Singh Shekhawat of Royal Sports Promotions in New Delhi, India. The author Carlos Costa is a Panama-born man of boxing living in Cebu, Philippines. He will attend the WBC 3rd Women's Convention in Manila. Carlos can be reachedf by email: Carlos512@hotmail.com and Whatsapp: +6391845381452.